حسنیان, مهدی, صالحی, مهدی. (1396). تشخیص عیب یاتاقان های غلتشی با استفاده از سیگنال های ارتعاشی بر اساس تحلیل طیف تکین و شبکه عصبی مصنوعی. مجله صوت و ارتعاش, 6(12), 121-133. مهدی حسنیان; مهدی صالحی. "تشخیص عیب یاتاقان های غلتشی با استفاده از سیگنال های ارتعاشی بر اساس تحلیل طیف تکین و شبکه عصبی مصنوعی". مجله صوت و ارتعاش, 6, 12, 1396, 121-133. حسنیان, مهدی, صالحی, مهدی. (1396). 'تشخیص عیب یاتاقان های غلتشی با استفاده از سیگنال های ارتعاشی بر اساس تحلیل طیف تکین و شبکه عصبی مصنوعی', مجله صوت و ارتعاش, 6(12), pp. 121-133. حسنیان, مهدی, صالحی, مهدی. تشخیص عیب یاتاقان های غلتشی با استفاده از سیگنال های ارتعاشی بر اساس تحلیل طیف تکین و شبکه عصبی مصنوعی. مجله صوت و ارتعاش, 1396; 6(12): 121-133. در کاربردهای صنعتی، پایش وضعیت و عیب‌یابی بیرینگ­ها از اهمیت زیادی برخوردار است. تحلیل ارتعاشی، انتشار صدا، دمانگاری و تحلیل روانکار از جمله روش­های تشخیصی جهت شناسایی عیوب بیرینگ­ها می­باشند. یکی از قابل اطمینان­ترین روش‌ها جهت عیب­یابی تجهیزات دوار، مطالعه بر روی سیگنال ارتعاشی می­باشد. تاکنون روش­های مختلفی جهت عیب­یابی بیرینگ­های غلتشی توسط سیگنال­های ارتعاشی در حوزه زمان ارائه شده است. بیشتر روش­های سری زمانی، پیچیده و سیگنال­های استخراجی تحت تأثیر نویز می­باشند. تحلیل طیف تکین[i] که به عنوان یک تکنیک جدید و کارآمد در زمینه تحلیل سری­های زمانی مطرح می­باشد به لحاظ اجرا آسان و مصون از نویز می­باشد. در این روش سیگنال ارتعاشی اصلی هر یک از عیوب بیرینگ غلتشی به مؤلفه­های اساسی تجزیه می­شوند، که پس از انتخاب تعدادی از مؤلفه­ها و بازسازی سیگنال ارتعاشی، مشخصه­های آماری در حوزه زمان از سیگنال بازسازی شده استخراج می­شوند. این مشخصه­ها به عنوان ورودی‌های شبکه عصبی مصنوعی[ii] جهت تشخیص و طبقه­بندی عیوب بیرینگ­ها اعمال می­گردد. خروجی­های شبکه عصبی، عیوب بیرینگ­ها هستند که با انتخاب تعداد مناسب نرون­های لایه پنهان (لایه میانی)، حداکثر دقت در تشخیص عیوب حاصل می­شود. نتایج، پیاده­سازی موفق و کارآمد تحلیل طیف تکین در عیب‌یابی بیرینگ­های غلتشی با کمترین خطا را نشان می­دهد. Alessio, S. M., “Digital signal processing and spectral analysis for scientists: concepts and applications”, Springer, 2015. Alonso, F. J., & Salgado, D. R., “Analysis of the structure of vibration signals for tool wear detection”, Mechanical Systems and Signal Processing, vol.22, no.3, 2008, pp.735-748. Wang, W. J., Chen, J., Wu, X. K., & Wu, Z. T., “The application of some non-linear methods in rotating machinery fault diagnosis”, Mechanical Systems and Signal Processing, vol.15, no.4, 2001, pp.697-705. Muruganatham, B., Sanjith, M. A., Krishnakumar, B., & Murty, S. S., “Roller element bearing fault diagnosis using singular spectrum analysis” Mechanical systems and signal processing, vol.35, no.1-2, 2013, pp.150-166. Golafshan, R., & Sanliturk, K. Y., “SVD and Hankel matrix based de-noising approach for ball bearing fault detection and its assessment using artificial faults”, Mechanical Systems and Signal Processing, 70, 2016, pp.36-50. Kilundu, B., Chiementin, X., & Dehombreux, P., “Singular spectrum analysis for bearing defect detection”, Journal of vibration and acoustics, vol.133, no.5, 2011, p.051007. Al-Bugharbee, H., & Trendafilova, I., “A fault diagnosis methodology for rolling element bearings based on advanced signal pretreatment and autoregressive modelling”, Journal of Sound and Vibration, vol.369, 2016, pp.246-265. Yan, R., Gao, R. X., & Chen, X., “Wavelets for fault diagnosis of rotary machines: A review with applications” Signal processing, vol.96, 2014, pp.-15. Kankar, P. K., Sharma, S. C., & Harsha, S. P., “Fault diagnosis of rolling element bearing using cyclic autocorrelation and wavelet transform”, Neurocomputing, vol.110, 2013, pp.9-17. Kumar, S. S., & Kumar, M. S., “Application of Artificial Neural Network in the Investigation of Bearing Defects”, World Academy of Science, Engineering and Technology, International Journal of Civil, Environmental, Structural, Construction and Architectural Engineering, vol.9, no.8, 2015, pp. 1113-1116. Rafiee, J., Arvani, F., Harifi, A., & Sadeghi, M. H., “Intelligent condition monitoring of a gearbox using artificial neural network”, Mechanical systems and signal processing, vol.21, no.4, 2007, pp.1746-1754. I. Attoui, N. Fergani, N. Boutasseta, B. Oudjani, and A. Deliou, "A new time–frequency method for identification and classification of ball bearing faults," Journal of Sound and Vibration, vol.397, 2017, pp.241-265. Loparo, K. A., “Bearing data center”, Case Western Reserve University, 2013. 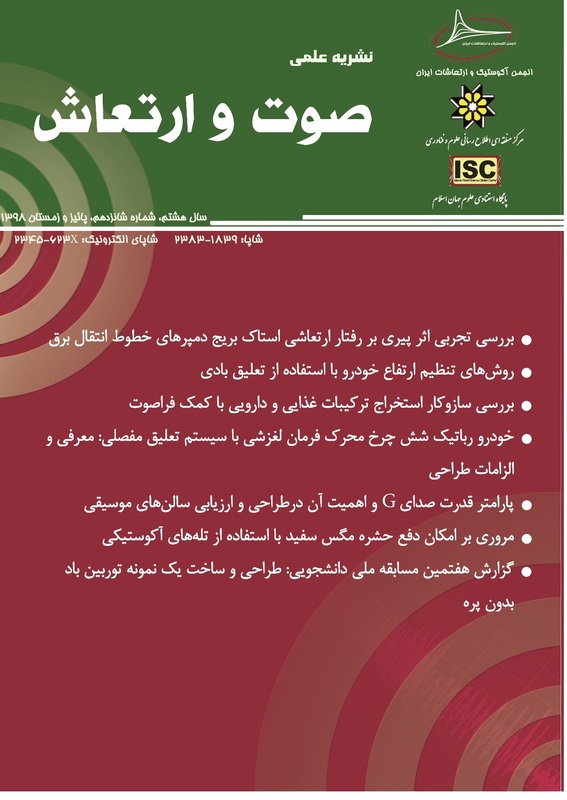 Abbasion, S., Rafsanjani, A., Farshidianfar, A., & Irani, N., “Rolling element bearings multi-fault classification based on the wavelet denoising and support vector machine” Mechanical Systems and Signal Processing, vol.21, no.7, 2007, pp.2933-2945. Golyandina, N., & Zhigljavsky, A., “Basic SSA”, Singular Spectrum Analysis for Time Series Springer, Berlin, Heidelberg, 2013, pp.11-70). Golyandina, N., Nekrutkin, V., & Zhigljavsky, A. A., “Analysis of time series structure: SSA and related techniques”, Chapman & hall crc monographs on statistics & applied probability, 2001. Elsner, J. B., & Tsonis, A. A., “Singular spectrum analysis: a new tool in time series analysis”, Springer Science & Business Media, 2013. Zhang, X., Wang, B., & Chen, X., “Intelligent fault diagnosis of roller bearings with multivariable ensemble-based incremental support vector machine”, Knowledge-Based Systems, vol.89, 2015, pp.56-85. Sreejith, B., Verma, A. K., & Srividya, A., “Fault diagnosis of rolling element bearing using time-domain features and neural networks”, In Industrial and Information Systems, 2008. ICIIS 2008. IEEE Region 10 and the Third international Conference on (pp.1-6). IEEE. Demuth, H., Beale, M., & Hagan, M., “Neural network toolbox™ 6.” User’s guide, 10, 11, 2008. M. T. Hagan, H. B. Demuth, M. H. Beale, and O. D. Jesús, “Neural Network Design”, 2 ed. US: Martin Hagan, 2014. Xiong, G. L., Zhang, L., Liu, H. S., Zou, H. J., & Guo, W. Z., “A comparative study on ApEn, SampEn and their fuzzy counterparts in a multiscale framework for feature extraction” Journal of Zhejiang University SCIENCE A, vol.11, no.4, 2010, pp.270-279. Wang, G. F., Li, Y. B., & Luo, Z. G., “Fault classification of rolling bearing based on reconstructed phase space and Gaussian mixture model”, Journal of Sound and Vibration, vol.323, no.3-5, 2009, pp.1077-1089. Boutros, T., & Liang, M., “Detection and diagnosis of bearing and cutting tool faults using hidden Markov models” Mechanical Systems and Signal Processing, vol.25, no.6, 2011, pp.2102-2124.